We had a lovely time at Sandy Feet! The spacious condo was perfect for our big family. 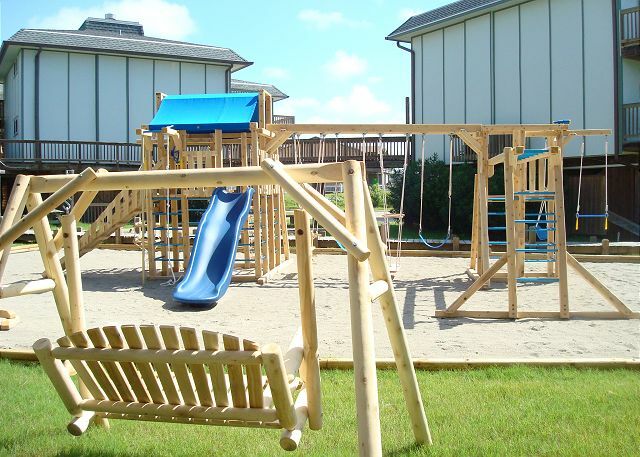 The property was clean and there were lot of extras- playground, pool, laundry room, etc. The kitchen was well stocked, but after a day at the beach we often went to the restaurants or ordered pizza. Hope to do it again soon! Enjoyed this condo very much. Very clean and comfortable. Does not have the best view, but you can still see the ocean. We came in on Thursday after the flooding rains and the condo where we parked was in ankle deep water. The water remained for the entire stay. Our driver had to pull the car to dry land for us to get in. It looked like they were trying to pump the water out. Was happy to see the pool open. We enjoyed our stay. Property was great and will definitely be back. Very clean and well appointed for our long weekend stay. Due to the construction all around, it still worked out. We loved our stay at Beachhead Condos. 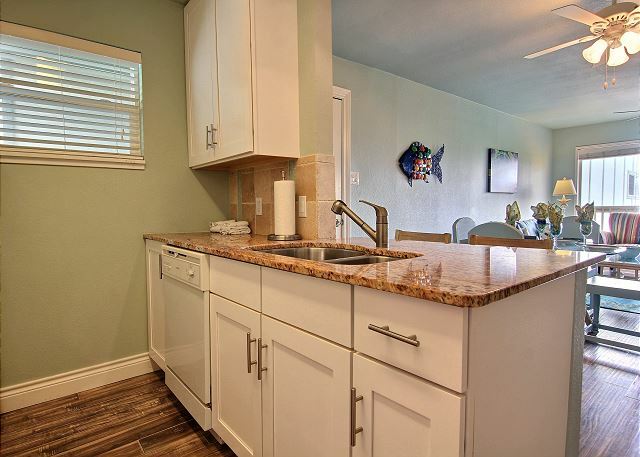 The condo had been remodeled and was nicely decorated and furnished. I would warn that this condo shows two parking spaces, but because of the angle of the road to the parking, it really only has room for one vehicle. Also, be aware that you will have someone staying above you and because there were small children involved, all we heard was running and jumping that started at 7am every day. Very clean. Cutely appointed and in a great location. Comfy beds. It was perfect for our needs and we would gladly stay here again. The condo was nice and worked for our weekend. Pros include location and convenience to beach and area. 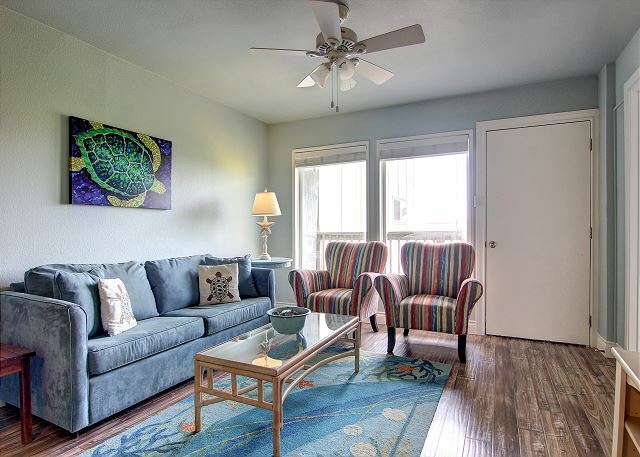 Cons- poor internet service, parking is not great for 2 vehicles, the appliances and grills need an update, the deck had no real appeal with arrangement of furniture. The pool was just ok, not asa great pool area for relaxing. Condo was average. A few things need attention - windows difficult to open; balcony door lock difficult to move; furniture uncomfortable, especially sofa bed; old kitchen pots & pans; etc. View of beach not as nice from this unit. Have stayed in other better units at this same complex in past. Service was VERY friendly and the condo was great! 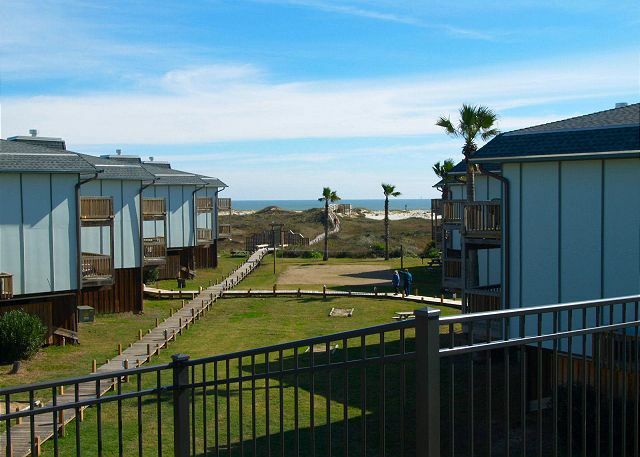 I highly recommend Port A Escapes to anyone visiting Port Aransas. 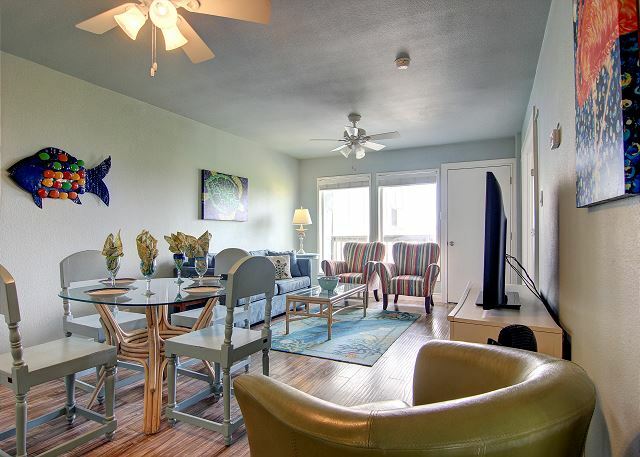 Charming, updated two bedroom condo with views of the water. The unit was immaculate and well-decorated. The staff was very responsive and helpful, and we booked again for the same unit in the near future. 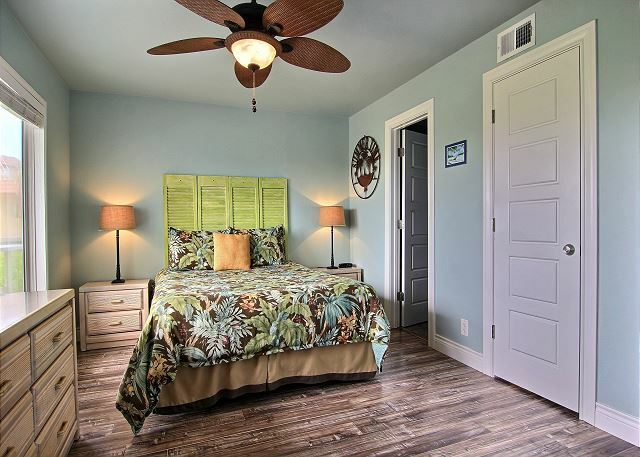 Convenient location, property is very well kept, nice pool area and loved that it was quiet. 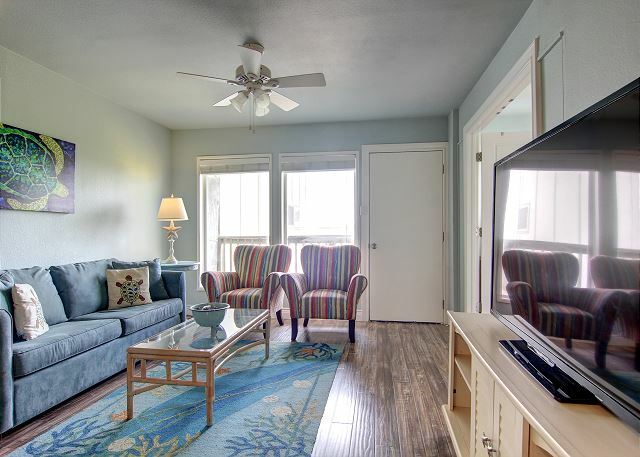 We were needing to escape our hectic schedule in Austin, Sandy Feet condo delivered a restful, and fun weekend. Definitely will rent unit again. 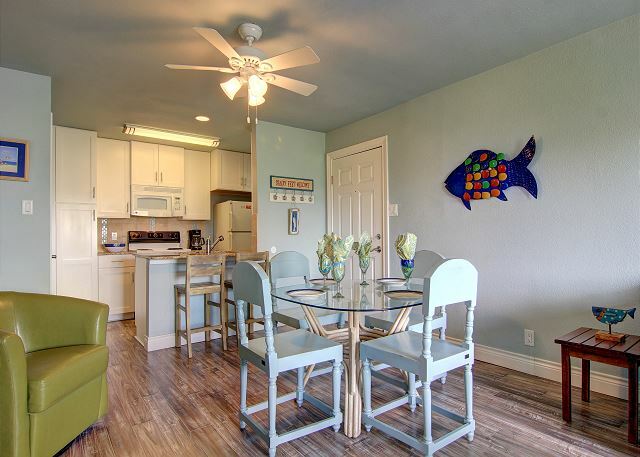 Port A Escapes property management, always professional and helpful. I have rented several different properties through them, always professional and helpful. However, ask ahead of time for early checkin, 4pm is standard but would like to get in earlier. We are glad to hear you enjoyed your condo along with its location and pool. Just give us a call when you are ready to come back and do it again. Great place to stay with easy access to the beach. 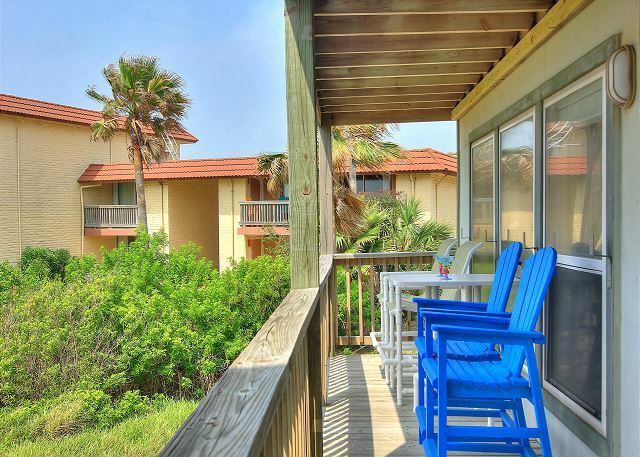 We stayed at SANDY FEET (Beach Head Condos) from July 27th-31st. Great location, and much closer to the beach this year, compared to the beach house we rented further down the island last year. The condo and property were clean and well kept. Perfect for 2 adults and 3 kids. The staff at Port-A Escapes was very helpful, as well as the staff at Beach Head. No seaweed in the ocean this year- the kids loved that! Clean beaches. Could easily stay another week there. Close to town (grocery stores, dining locations, gift shops, etc.) We'll be back! We loved the location of the condo. The walk to the beach was quick and easy. The condo was just the right size for our family of 4. Exceeded expectations, extremely clean everything in great shape, can't wait to go again. Very nice and clean.. Good location..
Great Room, Fun Times great Service. Our four night stay was enjoyable, once we got a few things corrected. When we checked in we found no glasses in the cabinets and the refrigerator light was not working. We called and this was corrected. The next morning we found there were only 3 teaspoons in the silverware drawer. Since there were only two of us and there were a number of tablespoons, we made do with what was there. I feel that the unit was not properly inventoried prior to our arrival. Little colder than expected but still pleasant. Wonderful time at the beach. 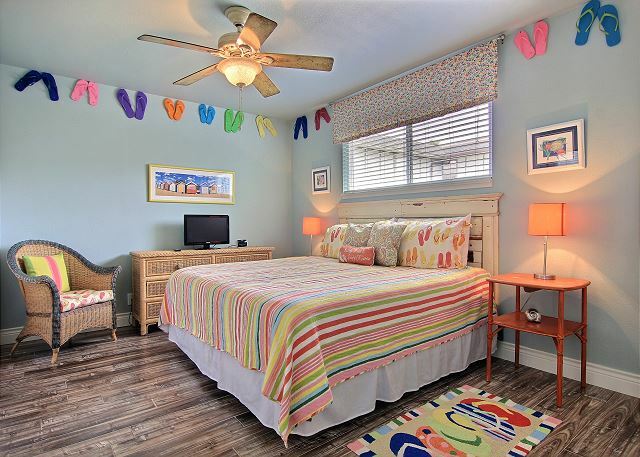 Great place to stay with a biardwalk straight out to the sandy beaches. Condo was clean and well equipped. 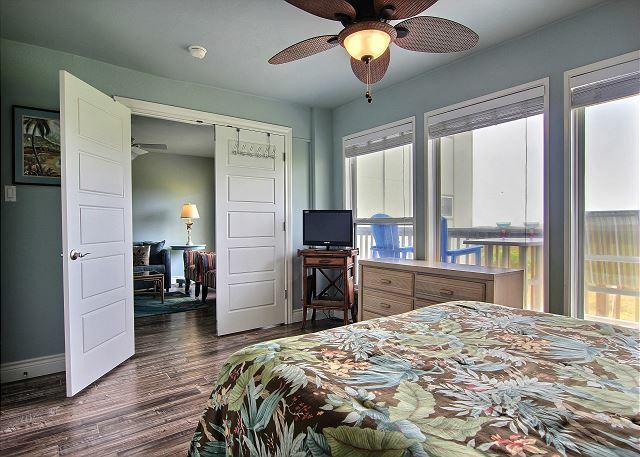 My wife and I enjoyed our stay, and will recommend Port A Escapes to other friends and family. The Beachhead was great. The only problem we had was that the bathroom sink did not drain. We called maintenance; they came later that day and fixed the problem. 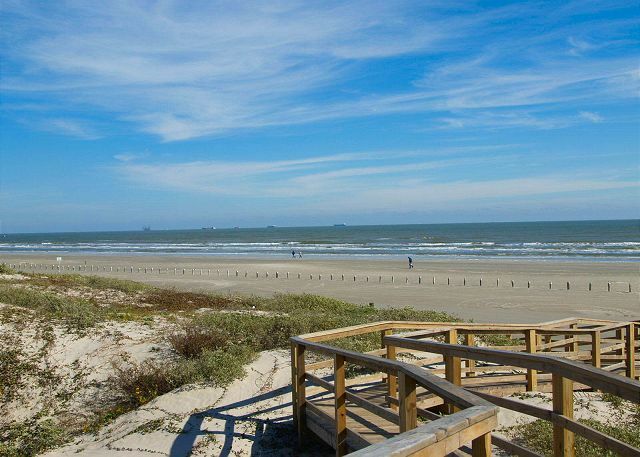 My husband, daughter, son-in-law and granddaughters just returned from Port Aransas. We LOVED the location of Sandy Beach. We just walked over the boardwalk everyday. Loved the fact that we didn't have to drive to the beach. Overall, the condo was fine. It was clean and convenient. There wasn't enough eating and cooking utensils, and with the exception of two plastic margarita glasses and one plastic glass, there weren't sufficient glasses. We just used our plastic solo cups. I'm not usually a complainer, so if that was the only problem, I wouldn't have mentioned it. The biggest complaint would be the sofa sleeper. It had practically NO mattress or soft covering for the springs. It was our plan for the grand girls to sleep there and hoped it wouldn't be a problem for them. It was. They said they'd as soon sleep on the floor. We saved the sleeping arrangements when we found a fantastic supply of pillows in the closet. We lined the mattress with the comforter that was on the king bed and lined it with the pillows. Then we put the fitted sheet over that. We were able to make the bed suitable with that. I'm glad we didn't have two more adults for that bed because that wouldn't have worked, probably. 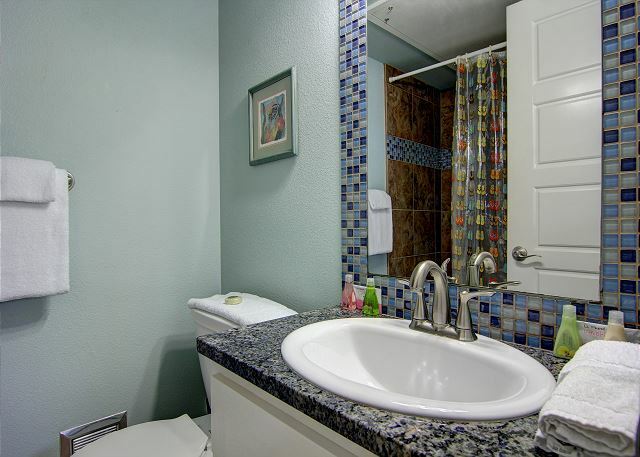 Also, the sink in the bathroom where the king bed was located had a very slow drain. We did report these problems to the rental company when we were leaving, and they indicated they would tell the owners about the couch. The first day we were there, we found that a couple of light bulbs were out so I reported that to the rental company. They finally had the maintenance people come out the last day we were there to replace them. 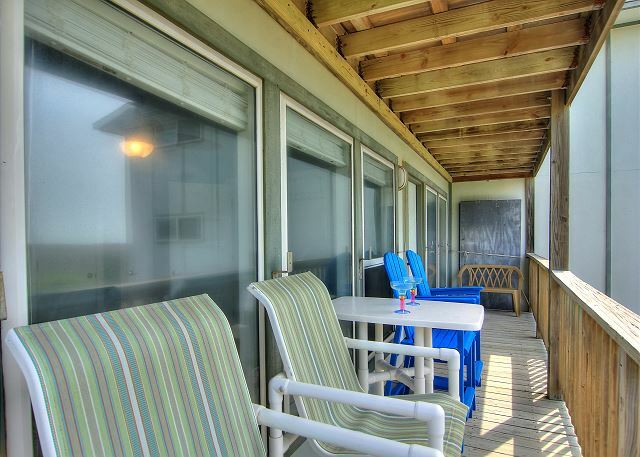 Would I stay at the Beach House Condos again? Yes I would because I did like the location a LOT. However, I would probably ask for a different condo rather than Sandy Feet unless I could be assured that at least the couch had been replaced. so we were all pleasantly surprised when we opened the door to Samdy Feet and it was as nice as it was!! 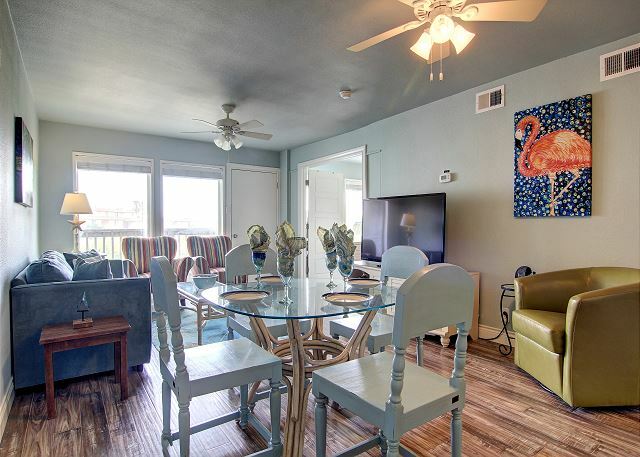 It was extremely clean and the color choices on the walls and decor through out were exactly what I would want a beach condo to be!! The beach was just a quick walk over the dunes on the boardwalk and the pool and playground were just right.the location was super centrally located and right up the street from Coffee Waves which has amazing coffee and breakfast sandwhiches. Loved this place and will definitely book it again!! Check in and out was a breeze and hopefully someday in the future when we have our own condo we will definitely be looking into Port A Escapes as our rental management company. ?? 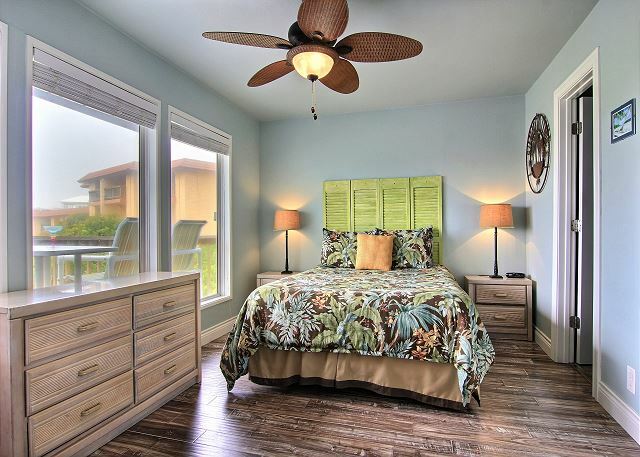 Loved Beachhead Property and this unit! 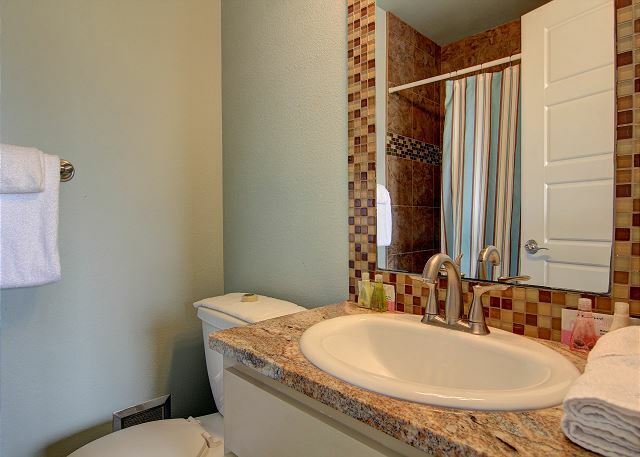 Very well maintained and quiet, low-key property. Will definitely return. Only regret was we didn't stay longer!!!! had a good time, nice relaxing place. 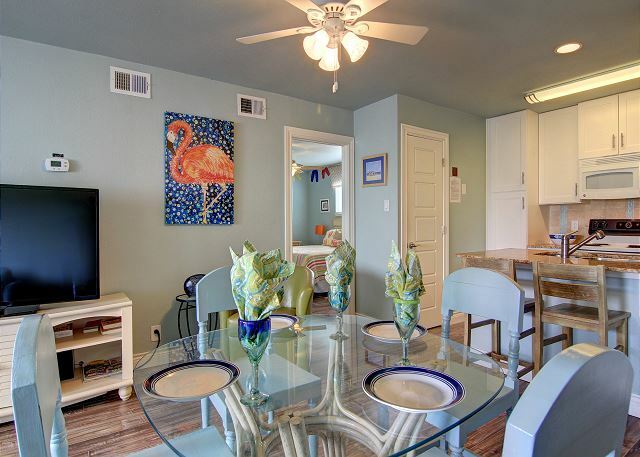 this is the second time that we've stayed at beachhead condos, they have great family amenities, are close to the beach and are comfortable units for a family of 4, we all had a fabulous time......again. I bought a three day stay on Groupon .I was happy with Condo and surprised a clear the water was had big waves and no bad smell. 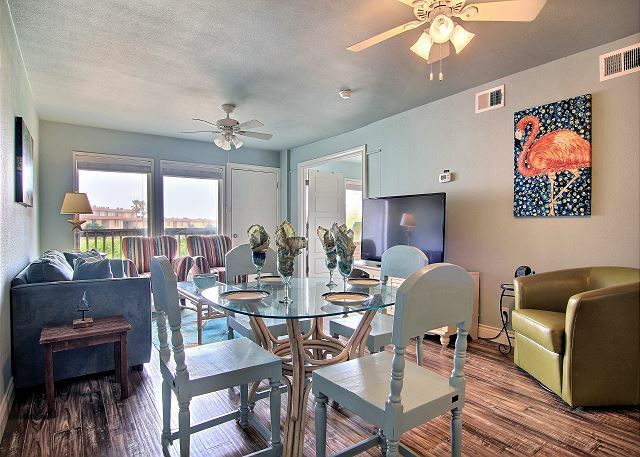 We've stayed at the Beachhead condominiums for our last two fishing trips in Port A, and every time, we've enjoyed our stay. 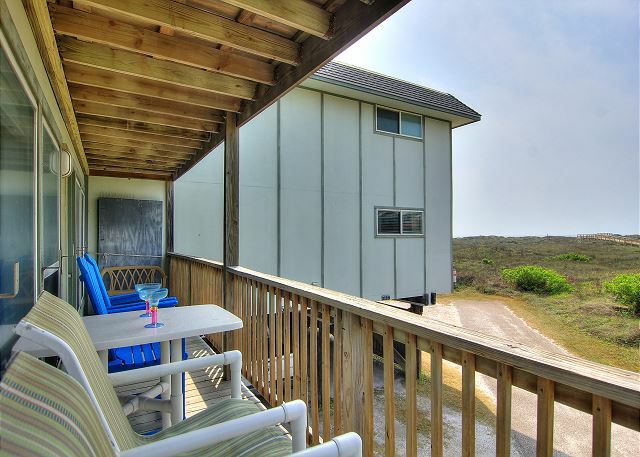 You can't beat the location from the beach -- and, having a fully stocked condo to cook in and watch movies in the downtime is helpful. It's also minutes away from just about any restaurant you'd like to bring your catch. The beds were comfortable, and while the bathrooms were a bit small, they work fine for a long weekend trip... even with 4-6 people in the same condo. We hx a wonderful time. Our condo had every convienence, was adorabke decorated and clean. We enjoyed the large pool. We'll be back! Property was perfect for 4 adults & 2 kids to stay. It was close to everything in town & boardwalk to beach. Everything was clean & in great shape. Would definitely stay again! Stayed Jan. 2013 had a great time. Location is great. This unit is up to date decor-wise and very comfortable. I would definitely stay again. Had a wonderful time. Only draw back was cockroach in bathroom. Certainly didn't want to transport these back to fort worth,so I went to the expense of having my home in fort worth sprayed very next day. "Blue washrags" must be used for make up removal---they only give you one. Patrick at the property mgt. company is awesome! Wish the weather was not so cold. Good time anyway. 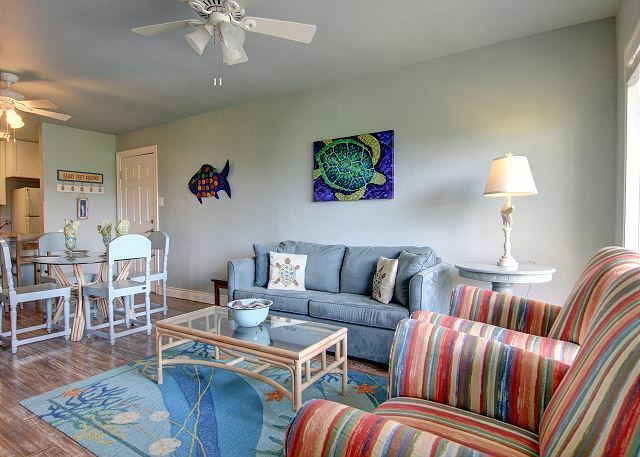 The condo we stayed in was lovely, property #501, very clean & nicely decorated. 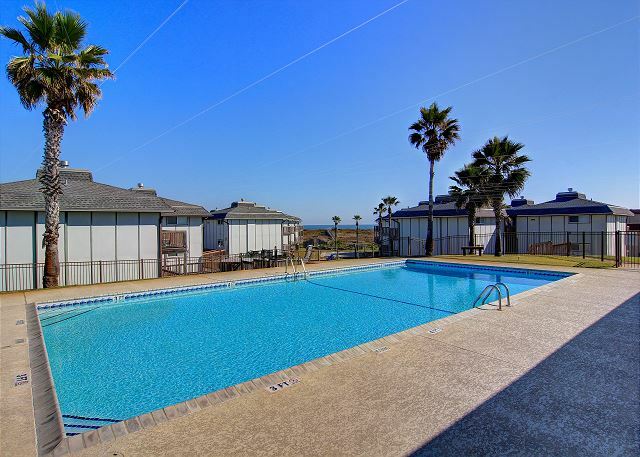 Very close to the beach, great view & we loved the pool, kids play area and pergola seating area for the parents. A great time was had by the whole family. The rooms were very clean and the location was good. The only problem was that it was advertised to sleep six. Two of the sleeping arrangements would need to be for very friendly married people. Awesome stay in Port A! 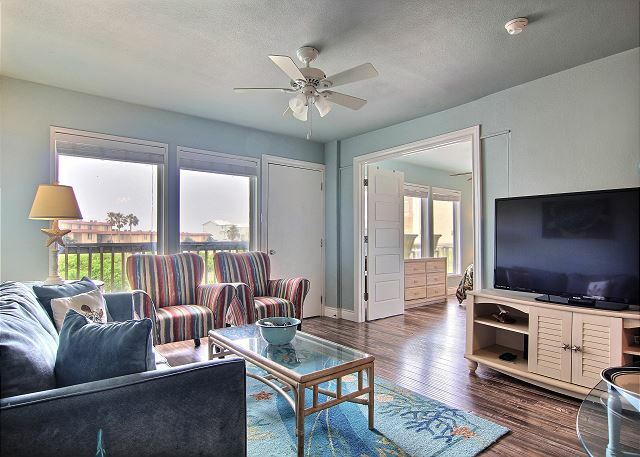 The Beachhead Condo's were a great place to stay! Clean and close to all the action. Just a walk away from the beach. Definitely plan a return visit! It was a beautiful condo, much nicer and cleaner than we expected! It's just a few minutes walk to the gorgeous beach, and the staff was so kind and answered any questions that we had, right away. We will absolutely be back! The place was great. Only negatives were the roaches and that the trash was not emptied daily...even after several calls. Great stay while visiting the local businesses and the beach. The gulf fishing was a true pleasure as well. The Condo we stayed in was essentially perfect. Thank you so much. The staff at port escapes were all very professional , Patrick and his wife were especially helpful. Patrick helped us locate better property at the last minute and was very helpful with important info . Kudos to Patrick and the employes of port escapes . I wish I could have brought my 5lb. Shitzu and I wish I wouldn't have had to sit in traffic for 45min ,but Patrick rocks ! Had a blast, right on the beach and close to town! The property was great, the only issue we had was with the edging on the counter was peeling off, and the fold-out couch's front legs were broken so that the end dipped, but otherwise the condo was great and I would recommend it. 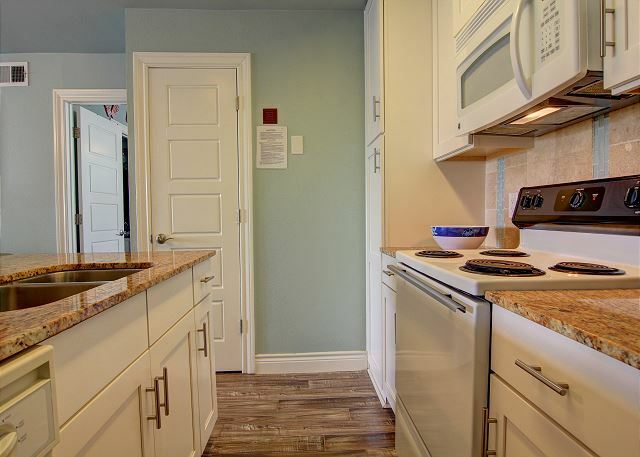 Very clean, nicely decorated unit! Would definitely return! this vacation had a great chance to be wrecked but Port A Escapes (Brenda) and the property manager @ Beach Head went above and beyond make it great. Thank you both. Be aware they dont have linnen service during your stay. Not sure if thats typical these days but it was a suprise. 501 is a great unit. Such a fun get away. 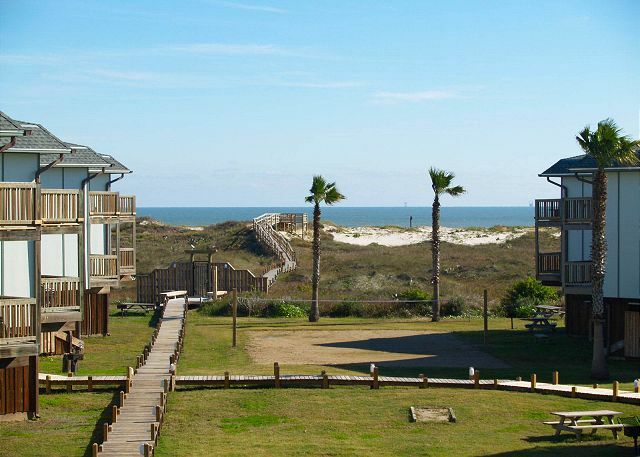 We have stayed at several hotels/cottages there in Port A, but Beachhead was our favorite! Love, love, love the beach access. Look forward to going back again soon! Our vacation at Port A was great. We stayed at Sandy Feet 501 and it was very clean everything we needed was there. It was close to the beach had a pool and play area for our grandchildren. We would stay here again. The check in was fast and easy. We throughly enjoyed it. we enjoyed our selves very much. my daughters and i had a fantastic time. i would travel there several times a year during my teen years and it brought back alot of fun memories. weather could have been better! We loved this place. This is the 2nd time we have stayed in 501, and loved every moment of it. Satisfied. Good value. Great location. The condo was very nice, but there was a bit of a musty smell that never really went away. I don't know if that is normal for beach front property of its age. There was a wall panel that gave access to some plumbing on the floor. The water pipes moaned a bit in the evenings. 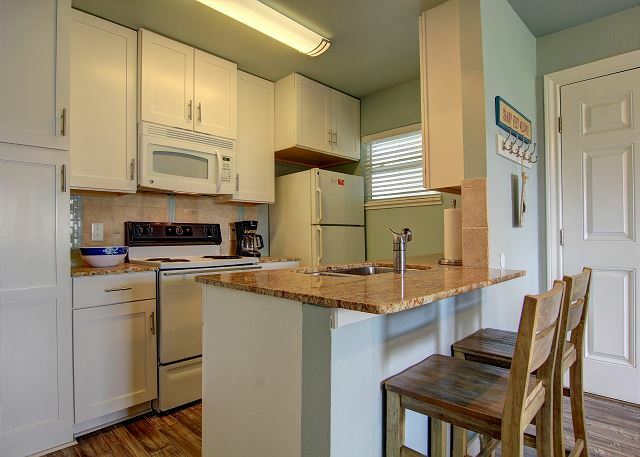 But the location was perfect, the place was very clean, and the unit was well outfitted. I would stay here again. It would be helpful if the condos could supply beach towels. And I think that if you rent the party room, you should have access to it till midnight, not 10pm. Great place to getaway. Price is up from previous years. Would recommend booking condo with no glass furniture, if little ones are with you. Looking forward to our next getaway.